Peter shares his most memorable food experience and what inspires his cooking over summer. 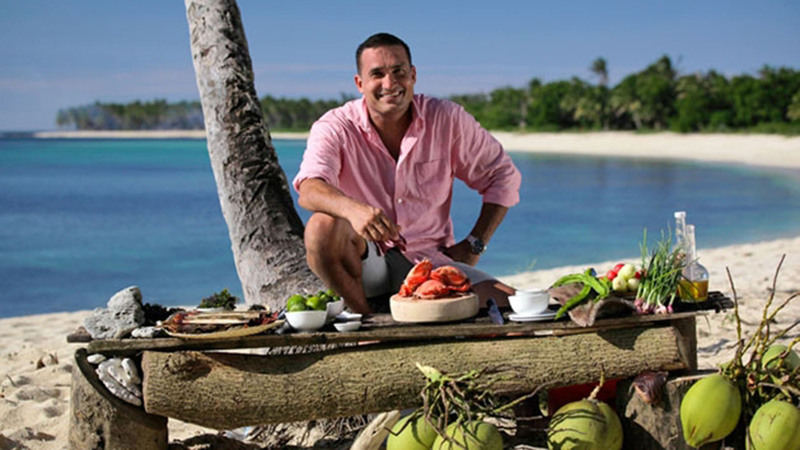 Blending the traditional foods of Sri Lanka, The Philippines, Cook Islands, Indonesia and Vanuatu with his own culinary style, 'My Feast' uses beautiful photography and story telling to explore the cuisine of our neighbouring island nations. Here, Peter shares what inspires his cooking over summer and a favourite recipe. What do you love about summertime cooking? As the sun comes out I like to take my cooking out side more, my favourite method is over charcoal. Since tasting the grilled seafood in Makkasar Indonesia, I could not cook on a conventional BBQ any more. After a day at the beach, what's a simple, fresh meal you would prepare for friends? The book describes food as something that's shared and enjoyed together. How central is food in your family and social life? I believe food is the pivot or the axel of family and friendships. Break bread and cook together, while doing this you will unconsciously discuss what is important to you all. That is, of course, if the food is great and prepared with LOVE. What is your most memorable food experience? Sharing meals with my family on the many road trips my dad used to take us on in Sri Lanka. Check out Peter's delicious creations at peterkuruvita.com for more inspiration.